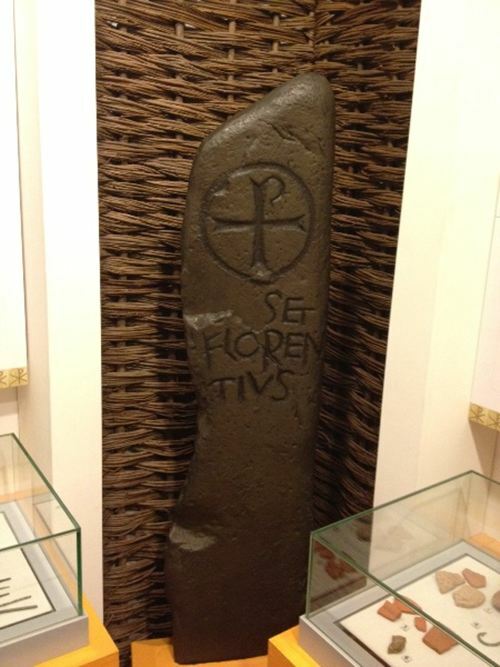 The Whithorn Story is the site of the earliest Christian community in Scotland, which created the first inscribed Christian monument – known as the Latinus stone – around 450AD. Bede celebrated the fame of Whithorn and an early saint, Ninian, when he wrote in the early 8th Century, and his comments have prompted a series of archaeological digs here, from the 19th to the 20th Century, all searching for the site of the earliest church, whose foundation is ascribed to the saint. What archaeologists found in the earliest phases of the site was not a church, but evidence of early Christian practices, sophisticated trading contacts reaching as far as Gaul and Tunisia, literacy, knowledge of the liturgy and an elite material culture, similar to that in other high status secular settlements. They also found evidence of 16 centuries of continued occupation and of Christian practice, and of a palimpsest of cultures, languages, artistic styles and technologies, as the peoples settling or invading the Machars and appropriating its famous shrine shifted and changed. Follow the footsteps of commoners and kings who for centuries, have visited the shrine of St. Ninian, Scotland's very first saint. Discover more about Whithorn's early Christian past and the continuous story of the churches on the site. Marvel at the magnificent 12th century bishops crozier and rings. The scheduled monument site at Whithorn has been known by archaeologists for over a century. Artefacts now on display include fragments of early imported glass and pottery, a rare collection of Northumbrian coins, evidence of Viking cat farming and decorated antler comb production and personal items lost by pilgrims visiting the site. The Whithorn Trust orgainse many events throughout the year which cater for all the family, from the annuel Pilgrimages and the St Ninian, a week long festival of music, exhibitions, drama arts and peotry to archaeology lectures and projects.